Christine McFetridge is a Melbourne based photographer from Christchurch. Working in the realm of social documentary, her projects are personal and nuanced takes on family life and community. We've been lucky enough to print two recent exhibitions for Christine recently: her solo show of The Winter Garden and a commissioned project titled Citizens of the Park. She has been a pleasure to work with and we look forward to seeing where her new projects and MFA take her next year! 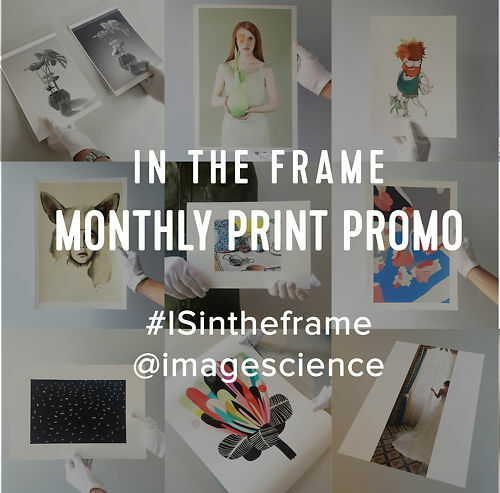 Read on to find out more about Christine's work and insights into working in the realm of social documentary. 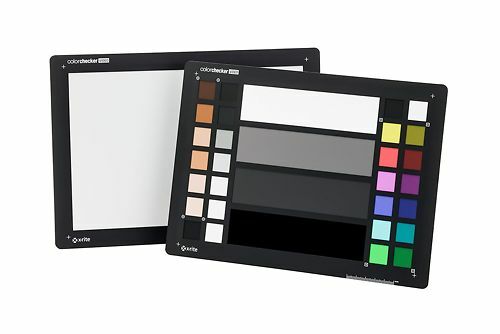 Read on for solutions for achieving accurate capture of colour through proper camera calibration, simple options for white balance, and of course we have classic colour charts and even tools for testing and/or calibrating the focus of your camera and lens combination! 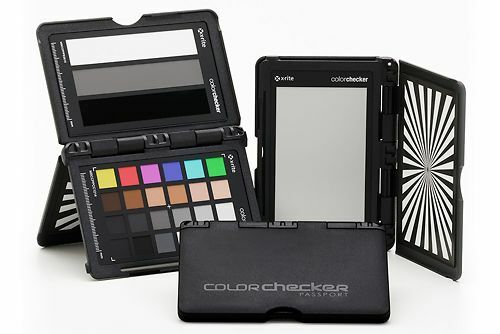 The X-Rite ColorChecker Passport has become the de-facto industry standard colour chart. Packed in a petite, easy to carry, small plastic cased form factor is a LOT of simple colour accuracy. Easily create DNG camera calibrations that integrate with Adobe Lightroom to significantly increase the colour accuracy of ALL your photographs over Lightroom's default included profiles (which vary from poor to mediocre at best). Use the creative enhancement white targets to sympathetically vary your white balance - ie. warm or cool your shots. This is a highly effective process, particularity with portraits to create pleasing skin tones. Creative custom profiles for specific shooting conditions, e.g. product shots in the studio, and massively increase the speed of your RAW post processing work by applying these correction profiles to all your shots in one go. In a typical studio workflow this thing can pay for itself in less than an hour! Create a colour accurate workflow from your camera to screen. 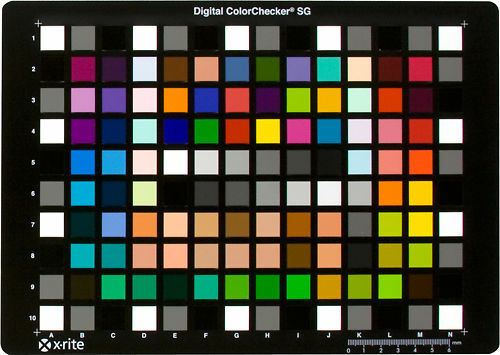 If you need more advanced calibration, for example for your high end flatbed scanner or for art reproduction photographic work, the Digital ColourChecker SG has a vast array of patches for greater accuracy. Make sure your calibration software supports this target before you pick one up, of course! DataColor have their own versions of the popular targets, and they can offer good value. 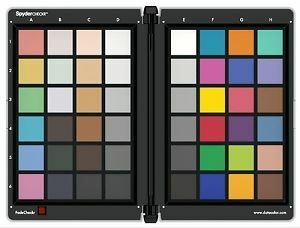 ColorChecker target specifically designed for digital photographers. 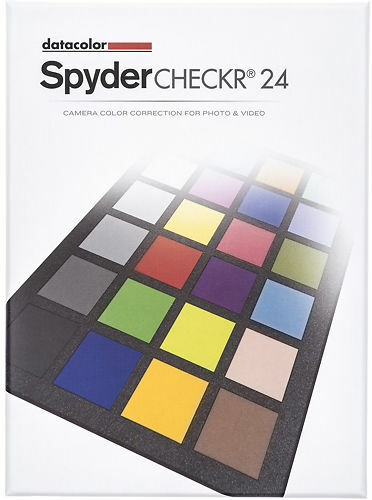 A basic 24 target colour calibration tool for cameras to ensure accurate colour through to editing. Modern digital cameras routinely have focussing issues, and fortunately many now support focus calibration to help overcome these issues. Modern lenses are also very, very complex instruments involving lots of precisely aligned elements and many even have their own internal motors - so it's often hard to tell if your particular lens is up to scratch. The Spyder LensCal is a simple and unique tool to assess and (if your camera offers this) - correct focus issues with you camera and lens combinations. If you've ever been faced with a nagging sense your shots should be sharper, this is the perfect tool to tell you where the problem lies - whether it's your equipment or your technique. Theses calibration charts are perfect for moving image shooters. Want to get your drone footage colour balanced? Or making the transition from photography to video? Get your colour, exposure and focus bang on with these essential charts. Just measure, match and use! 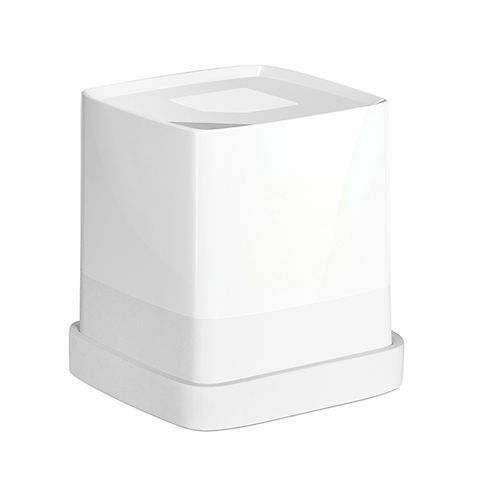 The Palette Cube is a simple to use device for spot measurement of colour, that also measures ambient temperature and light intensity. You can sync the device to desktop software and excellent mobile apps which allows you to import your colours and match to a host of over 75,000 digital colour profiles - including Pantones! The only limit to this device is your imagination and it's a tool that should be in any designer or visual artist's tool box. The Pico is the younger brother - a sleek, quick & affordable colour reader for those looking for something smaller. 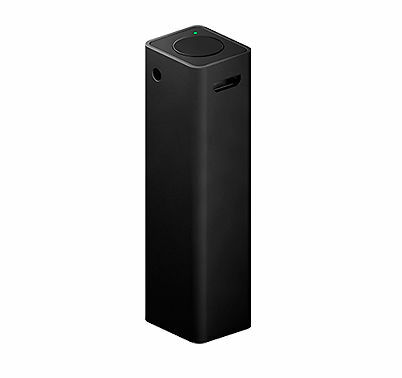 A great little device to bring with you on the go! Very slick spot colour measuring and matching device - designed in Melbourne! The smallest, quickest & most affordable digital colour reader - from the makers of Palette Cube! My third purchase from image science. Excellent info on web site makes purchase decisions low stress. Backed up by clear, concise and prompt comms. Very professional.